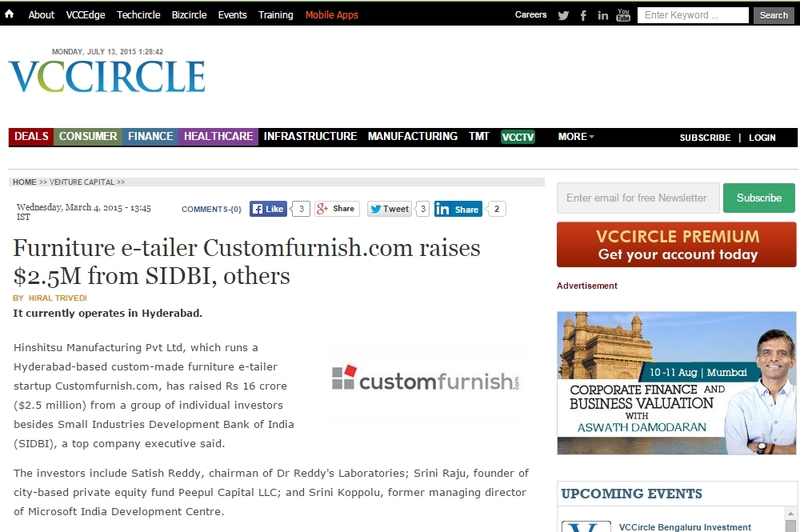 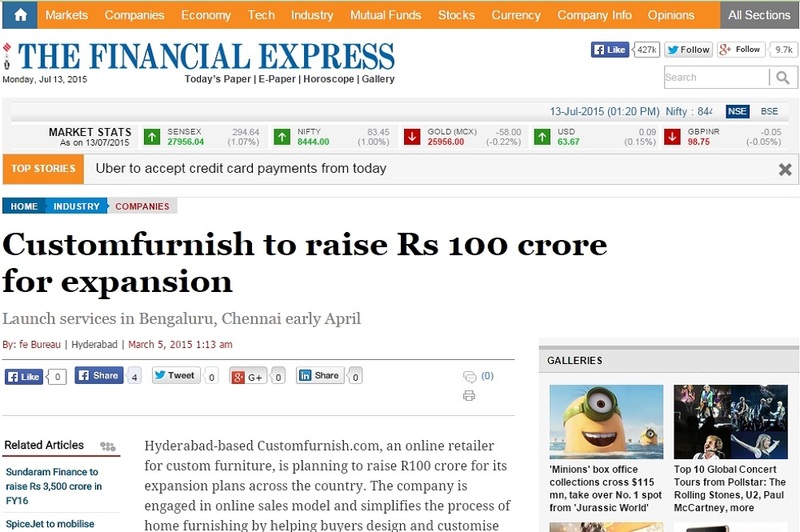 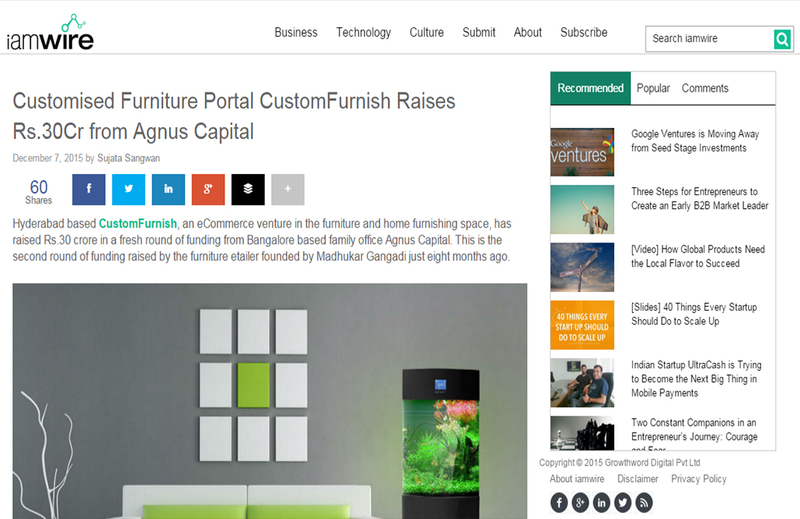 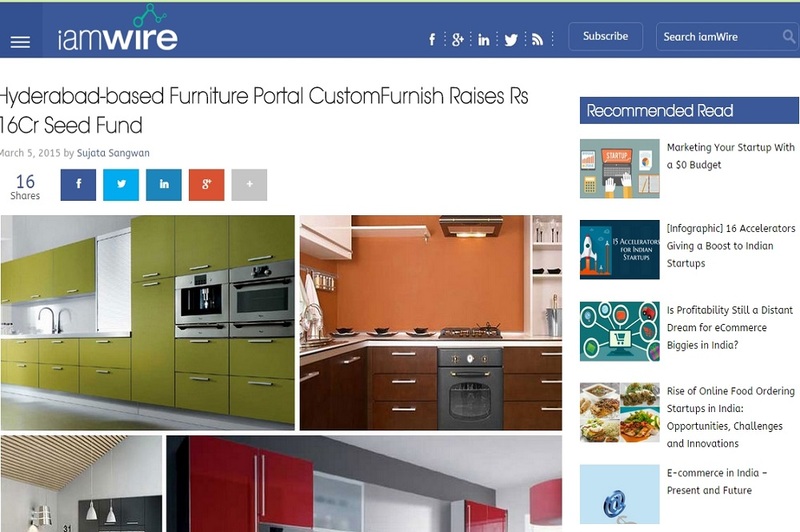 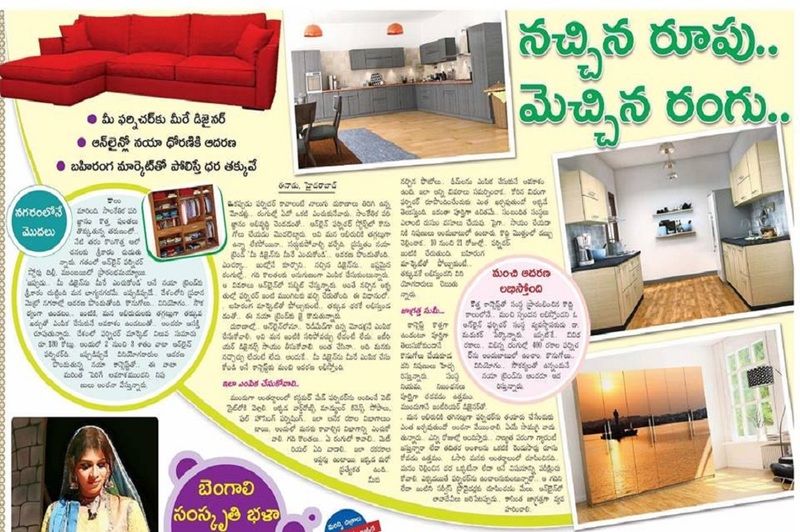 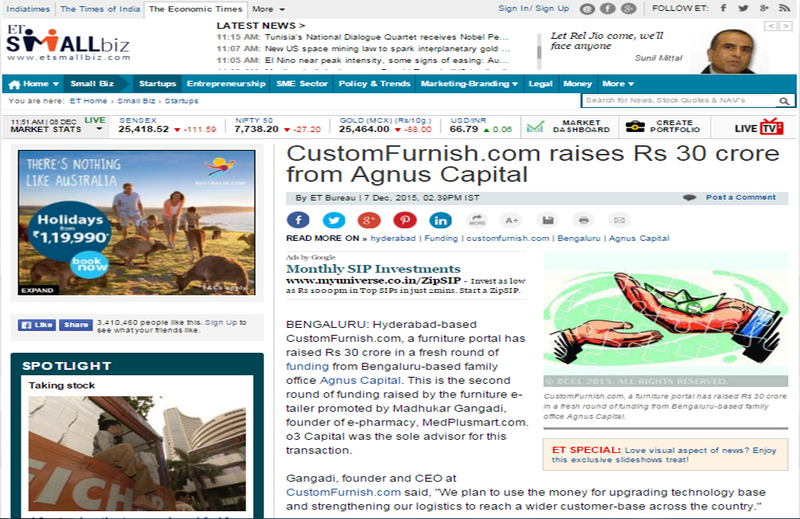 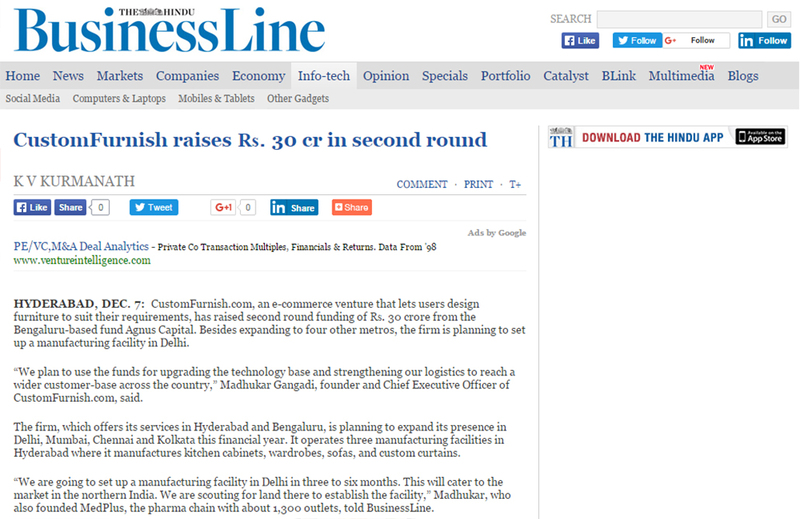 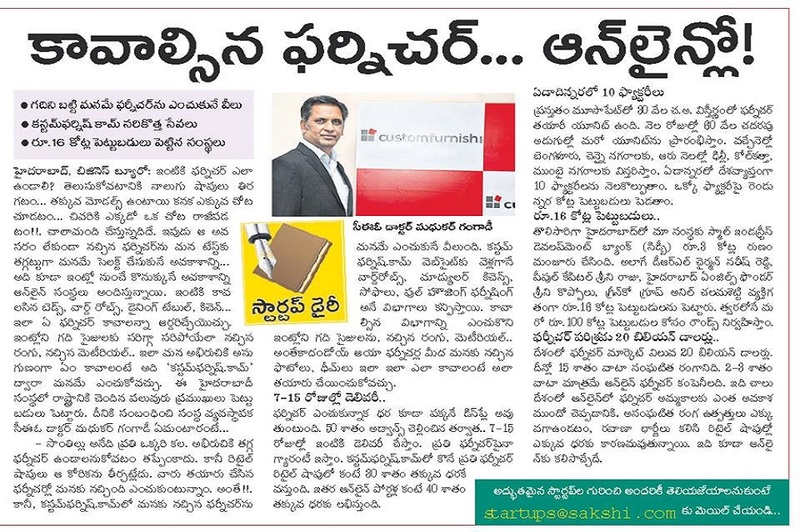 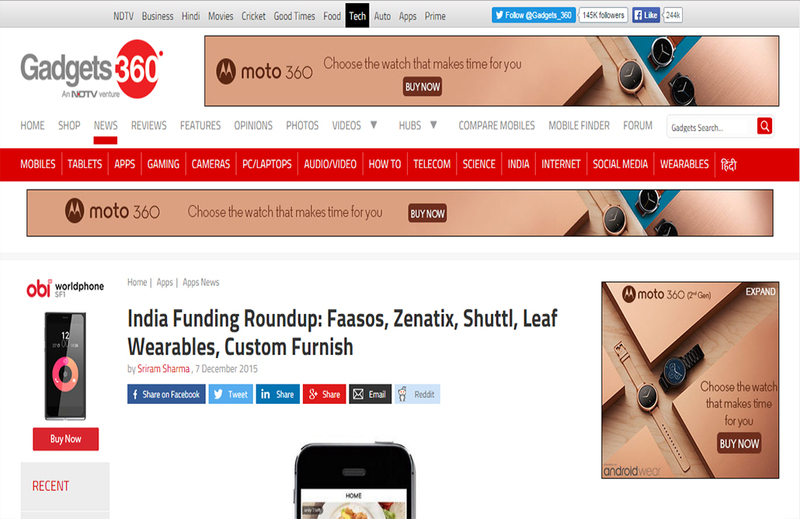 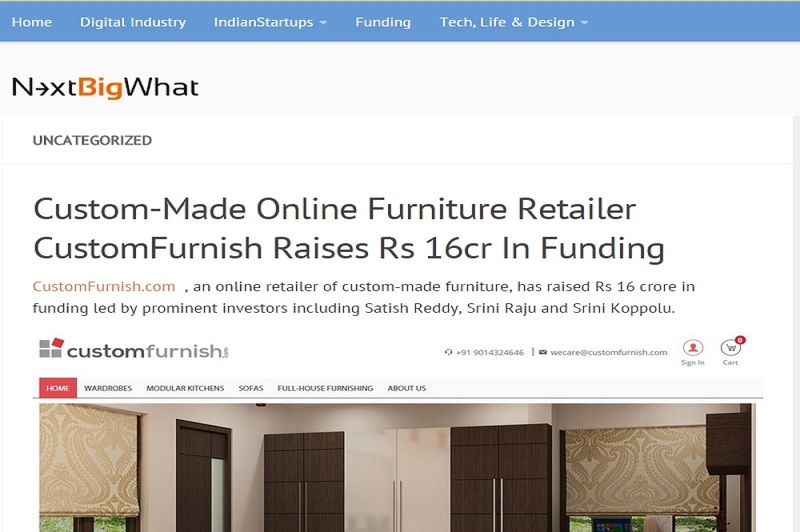 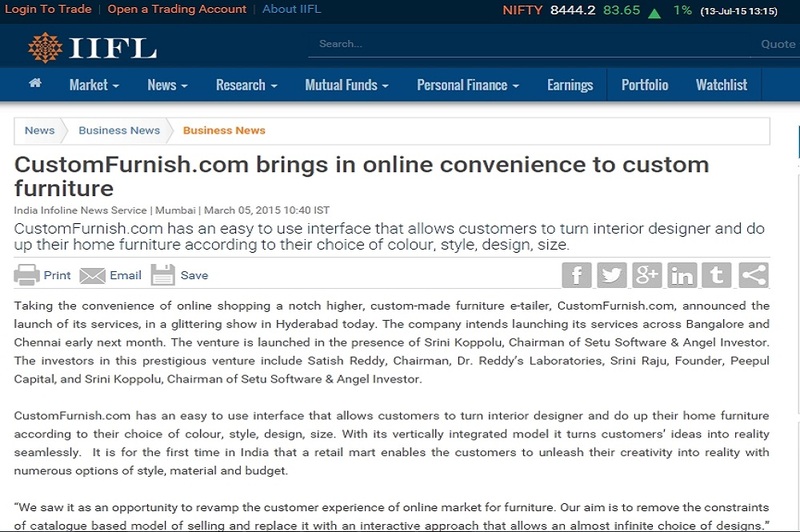 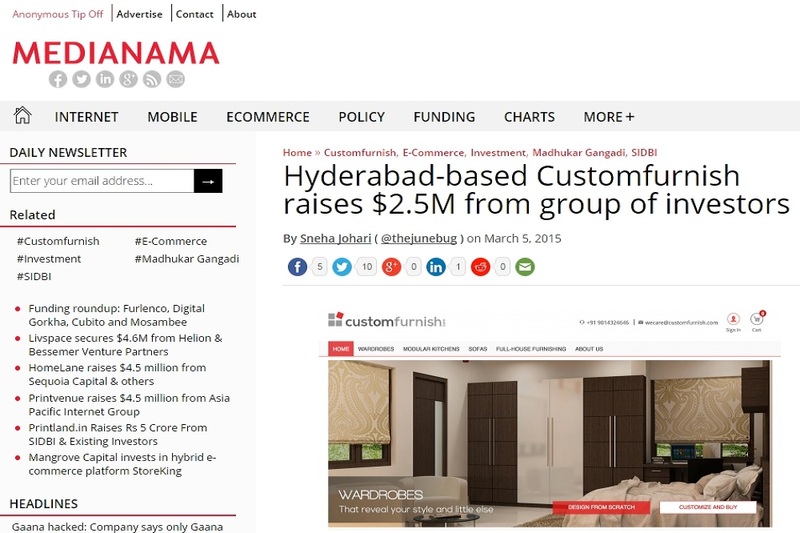 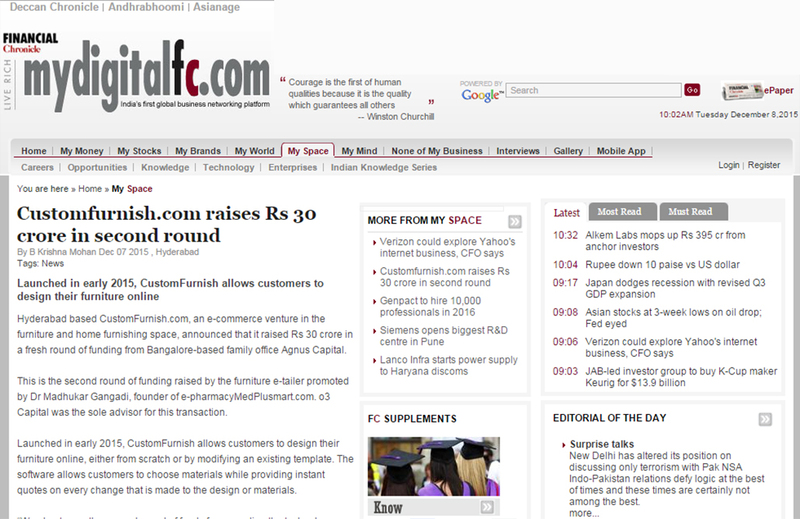 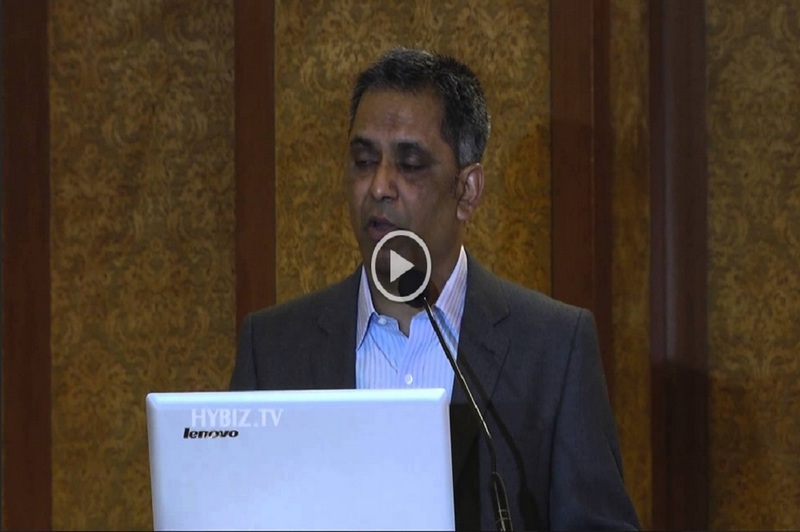 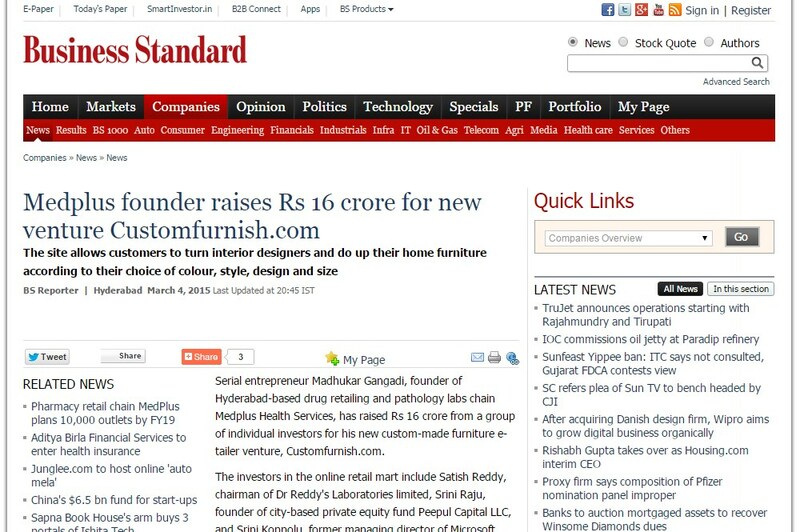 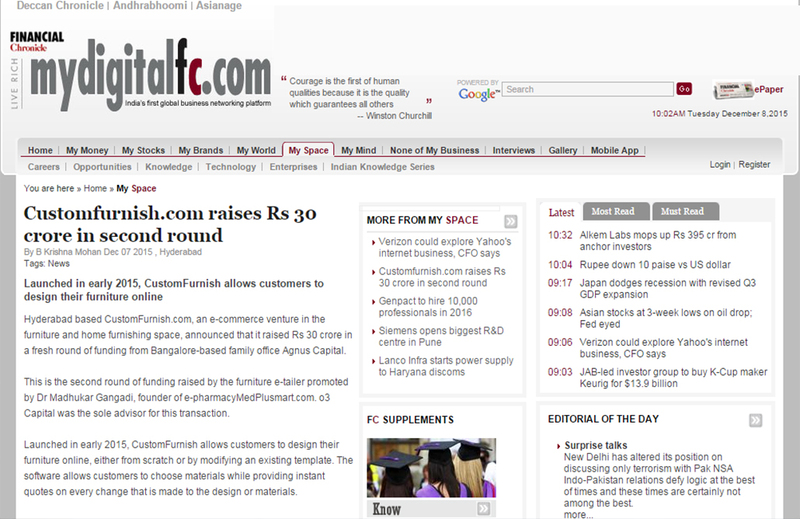 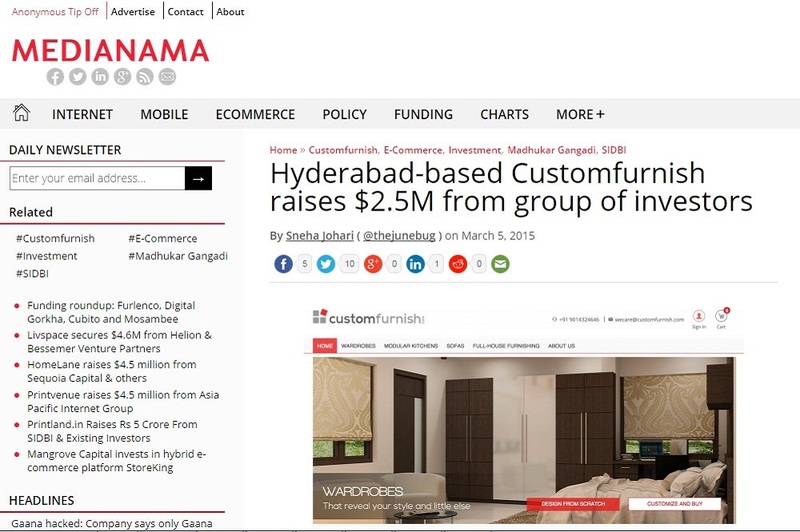 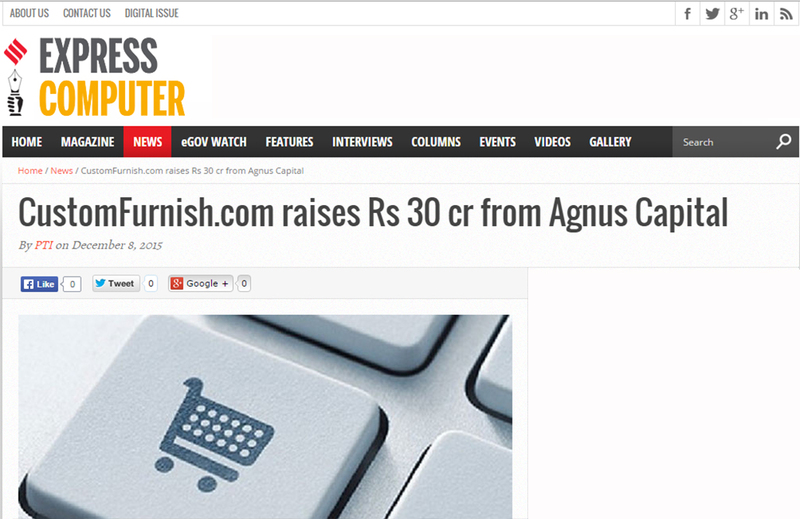 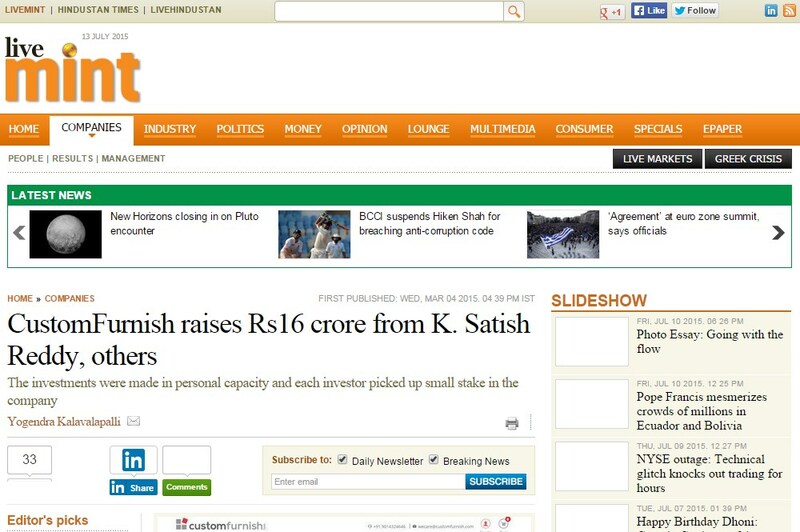 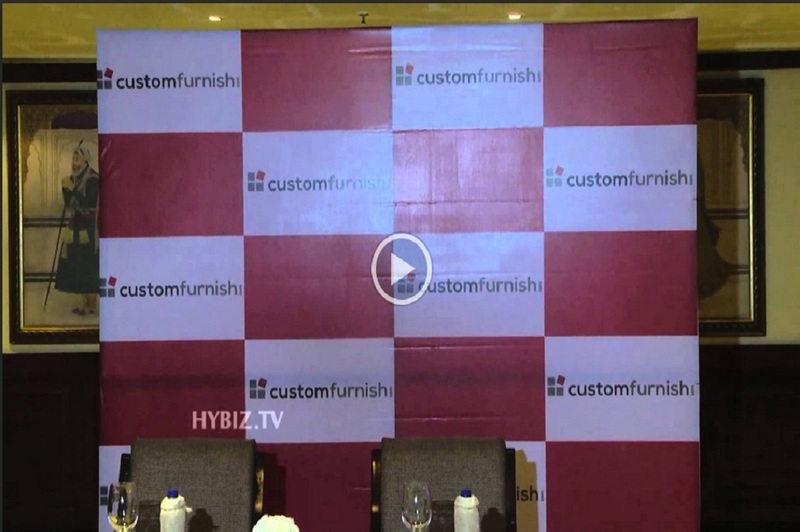 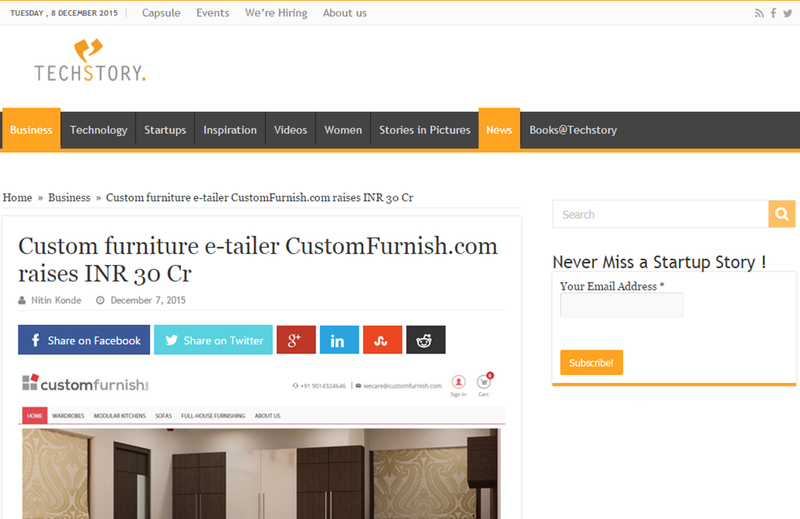 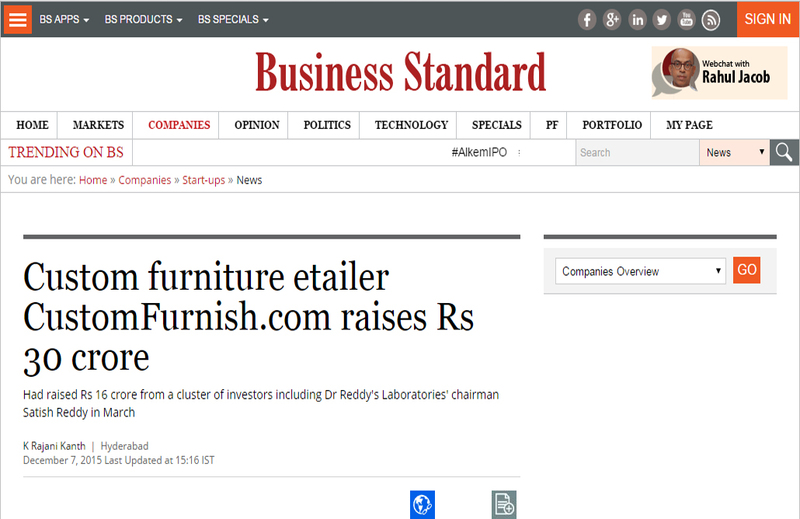 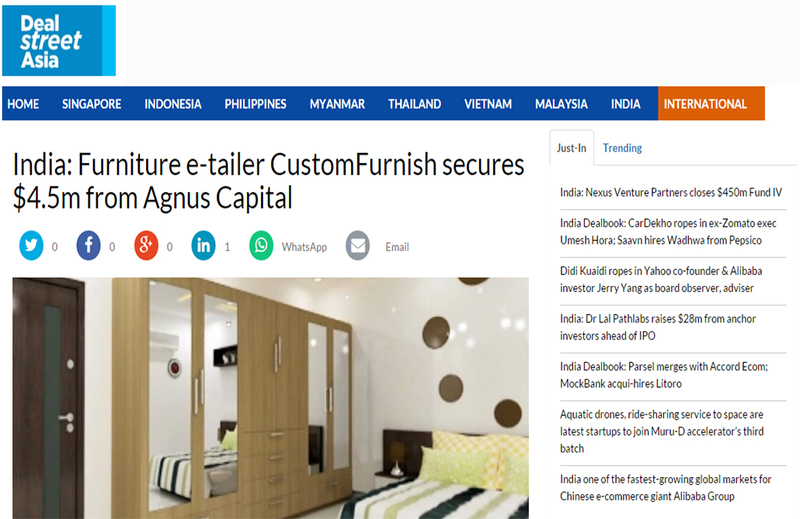 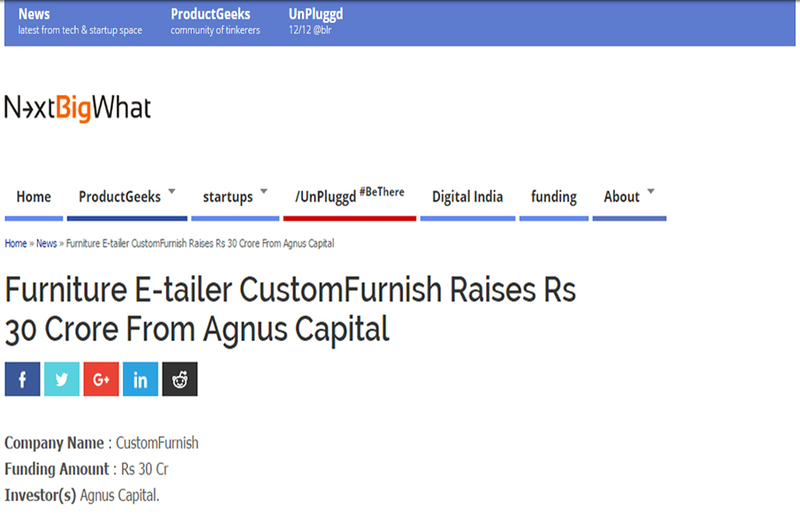 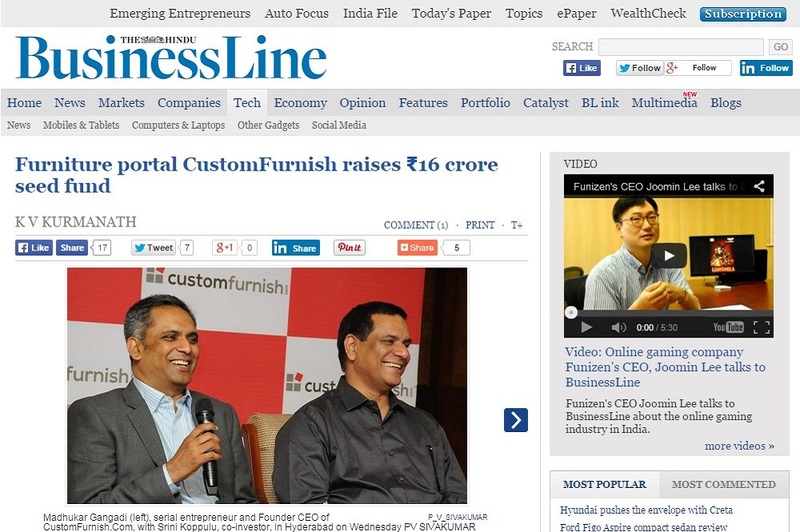 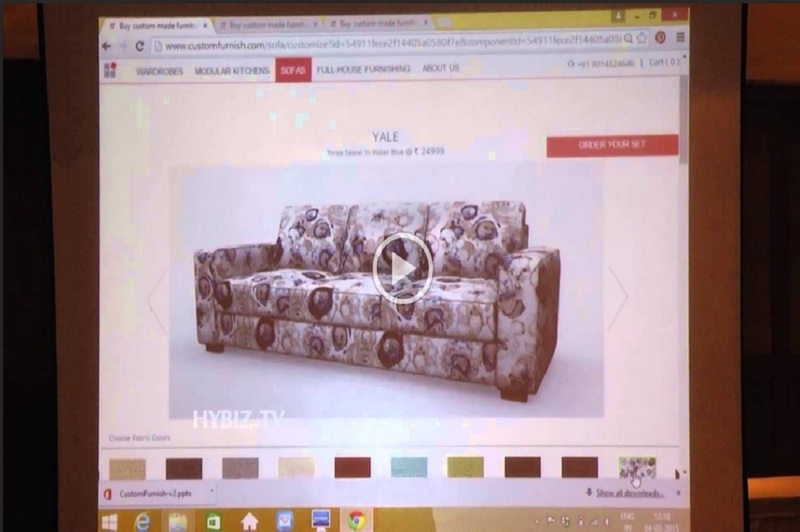 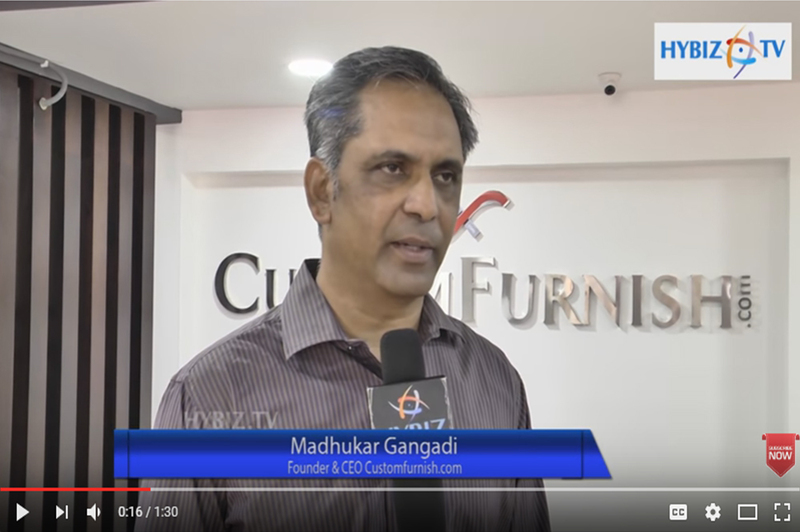 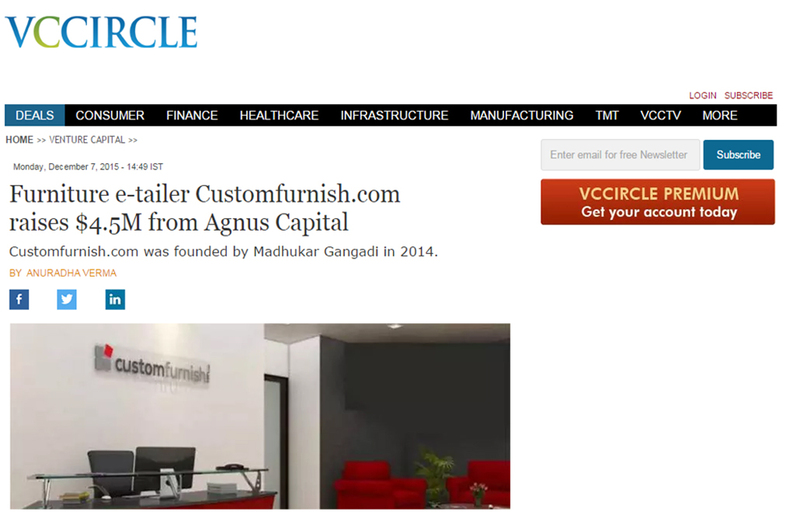 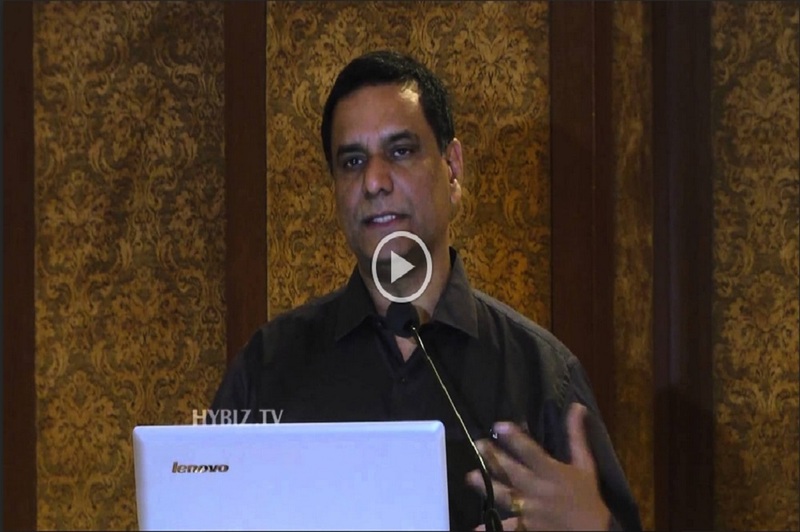 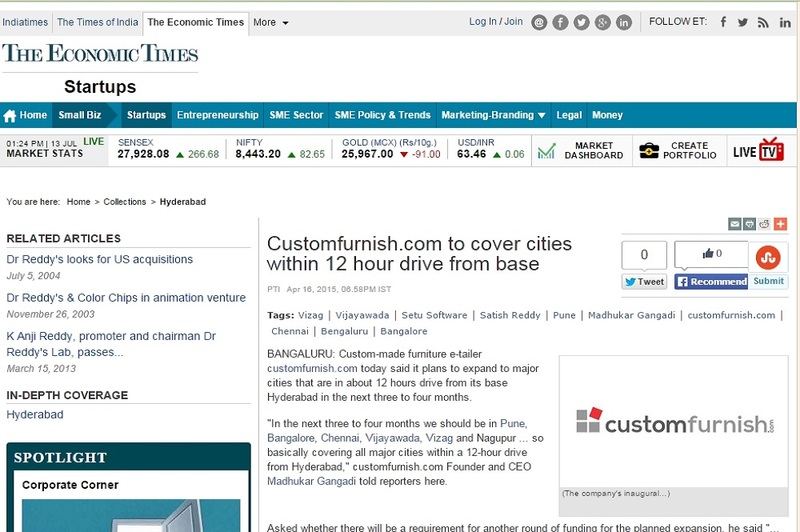 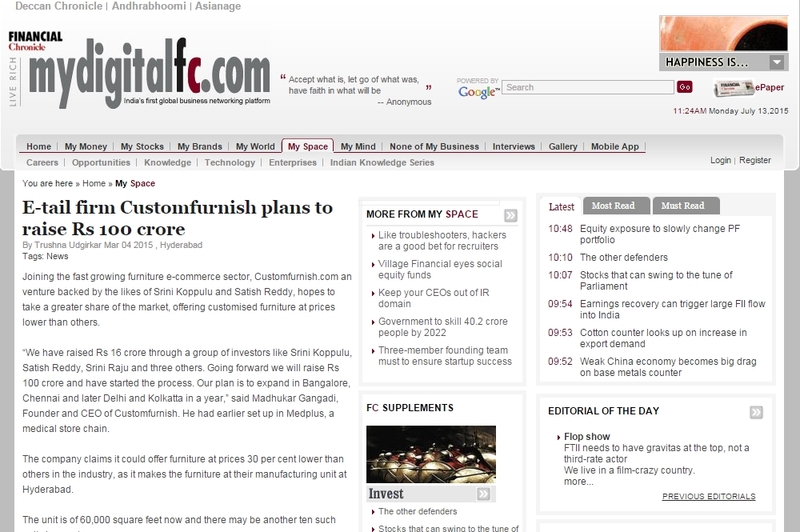 CustomFurnish.com focus on Rs 100cr fund raising. 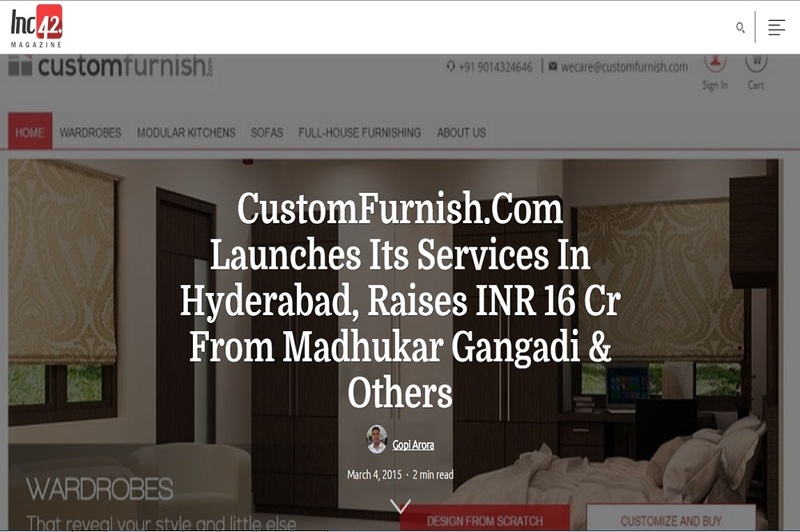 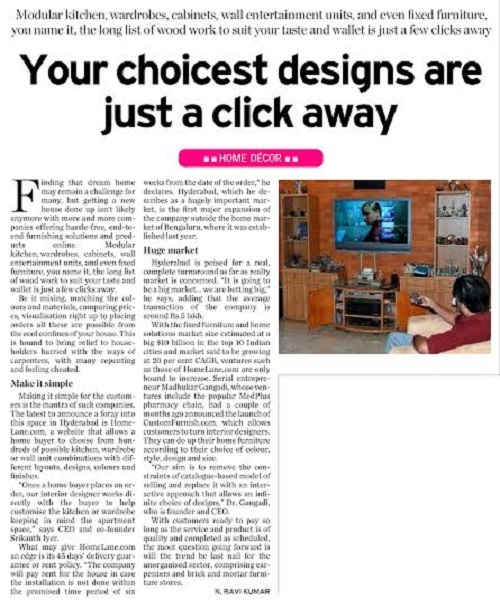 Next Generation Online Furniture Store CustomFurnish.com Launches Services in Bengaluru. 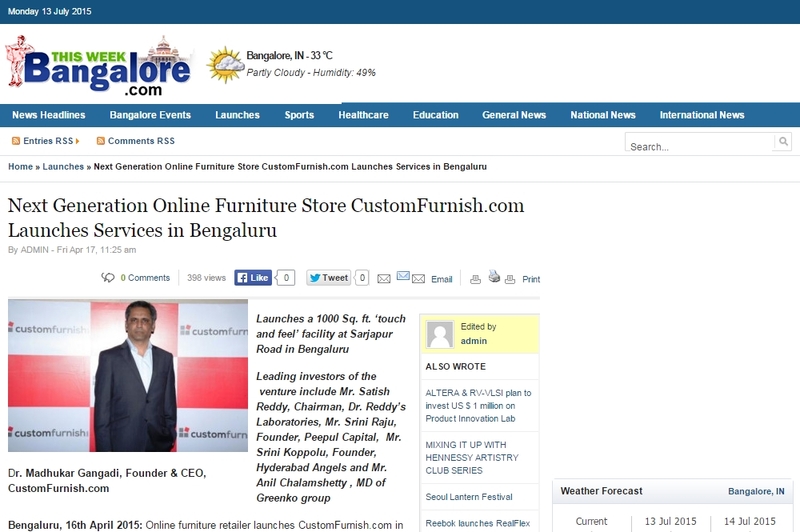 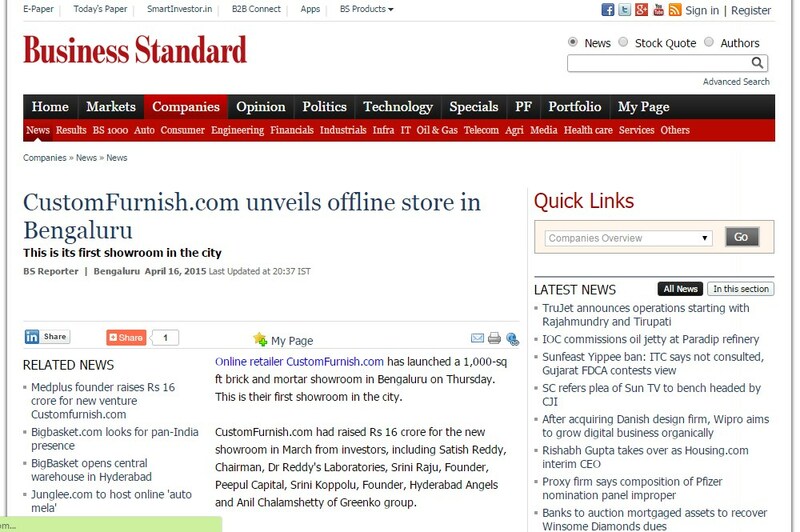 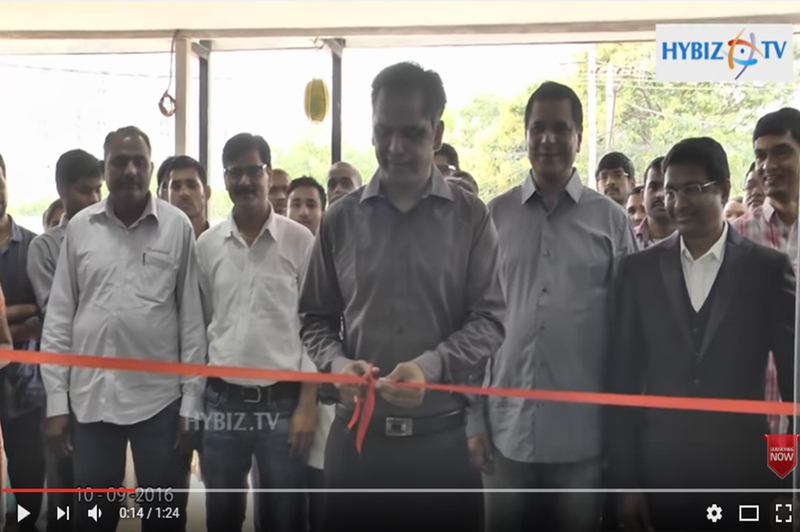 CustomFurnish.com unveils offline store in Bengaluru.